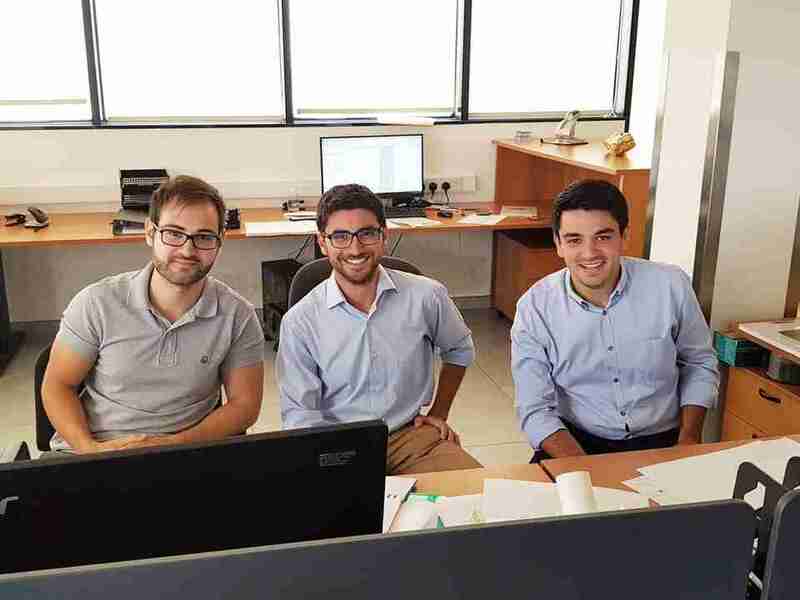 Newly graduates Chesney Grima, Zachary Rizzo and Emanuel Vella, joined the iAS team shortly after completing their studies at the University of Malta last year. Less than a year after their engagement, all junior engineers have integrated well with their peers, with Zachary Rizzo actively involved in the Design development stages of Manoel Island Project in collaboration with Foster Architects, Emanuel Vella is responsible for the structural analysis, design and site implementation of a number of small projects entrusted with iAS, and Chesney Grima has taken a site managerial role at Pendergardens at a critical handing over stage of the T1T2 offices and apartments as well as the project management of one of the main penthouses. Zac recounts his positive experience in the past few months, “With just a few months of work experience at iAS, a plethora of projects with varying characteristics have been tackled allowing us to broaden our knowledge while also providing room to explore our strengths. On the other hand, Emanuel stresses the value of integrating with the team, “The involvement in these projects provides several tasks ranging over several multidisciplinary actions; starting from analysis to design and detailing, to site management later down the line, with experts in each field providing guidance at each step. Chesney is proud of his involvement in the project management of a major project. “The execution stage of a project is a fundamental phase where the design brief is converted into physical project deliverables. The team at iAS assists us in assessing day to day site problems, identifying their cause and ultimately solve them in the best way possible.